Being Thankful for IVF Technology: Who says IVF isn't a gift from God? 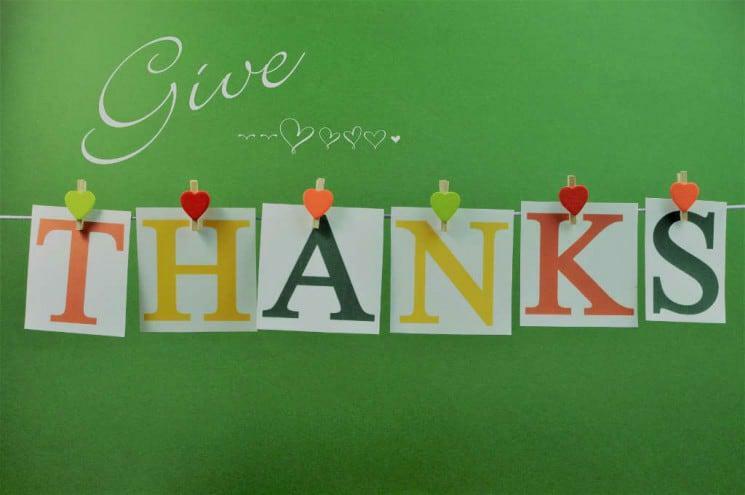 Our theme this month is, "Be the Reason Someone is Thankful" and given that it's Thanksgiving time, it's also a moment to give thanks for the blessings God has given us. I often discuss God when it comes to third party family building. For some, that's surprising and for others, well, they disagree that fertility treatment is against God's beliefs. Let me share with you my thoughts. God promised Abraham and Sarah a child, but she did not bear a son, Isaac, until age 90 (Genesis 11:30). Isaac, Rebekah's husband, prayed fervently, and God answered, resulting in the births of Jacob and Esau (Genesis 25:21). Rachel prayed, and at long last God "opened her womb." She bore two sons, Joseph and Benjamin (Genesis 30:1; 35:18). Manoah's wife, who was infertile for a time, gave birth to Samson (Judges 13:2). Elizabeth in her old age gave birth to John the Baptist, the forerunner of Christ (Luke 1:7, 36). Each story grapples with what God's plan is for them, why this is happening and quite often, if having a family is in their future. If you have dealt with, or are dealing with infertility right now, I'm sure you have wondered the same things. I've ran several support groups and one of the things we've discuss is that God isn't punishing you or that you're not in his grace if you have fertility issues. There may be a reason or lesson that needs to be learned to get you to where you need to be. Whether it's acceptance, trust, or simply having faith; I can't say for sure, but I would never want anyone struggling to have a family to think God has forgotten or forsaken them. It's entirely possible that God's intention for you may very well be to go through medical intervention, adoption, surrogacy, etc. We can only pray for guidance and direction. There is a psalm, 139: 13 - 14, which says, "For you created my inmost being; you knit me together in my mother's womb. I praise you because I am fearfully and wonderfully made; your works are wonderful, I know that full well." For all we know, "knitting" a child can come in all shapes and forms, and doesn't make a fetus any less "wonderfully made". When I've helped bring a new life into this world, whether it's been through my egg donation or serving as a surrogate, or simply being witness to matching intended parents to remarkable women willing to help, I never have seen anyone - religious or not - look at that child created and judge how this adorable baby was conceived. A new life is too beautiful, and a new soul in the world is truly a gift from God. I firmly believe that with my whole heart and know many who are so grateful that IVF exists as it has brought them their greatest blessings. Infertility treatment in any shape or form is NOT an easy path. It's plagued with spiritual, financial, and psychological issues. It creates a strain on your faith, your relationship and your hope and again, I certainly can't tell you how you should deal with it. I also can't tell you what you and your partner should or shouldn't pursue when it comes to third party reproduction. You must decide what you're comfortable with and what your faith is telling you. So, this Thanksgiving, I will offer a prayer up for those trying to decide what's right for their family building journey, and I will continue to serve as someone to help guide those who need it through whatever they choose. Remember, "Nothing is impossible with God."